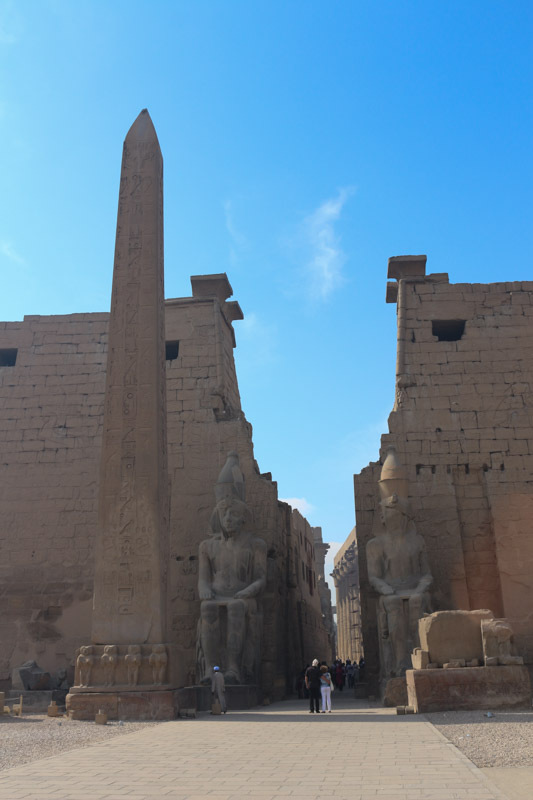 You may notice that the right obelisk of the Luxor Temple is missing. Sultan Muhammed Ali gave it as a present to King Louis-Philipe of France in 1836. Today you can see it on the Place de la Concorde in Paris. In return the sultan received a tower clock for his Alabaster Mosque in Cairo. I was told that the tower clock was already broken two weeks after delivery.